This is the first in a series of posts to show you ways to cut the cord from your cable or satellite TV provider and save yourself that monthly fee. To start off this little series, we are going to look at Microsoft’s Media Center software and some of the alternatives for it that are available. Of course, a simple set top box is really all you need to get started, but to really get into this it becomes a bit more complicated. The best thing to have, in my opinion, is a home theater PC (HTPC). For the majority of users this will mean running Windows Media Center — preferably with Windows 7 since Windows 8 has mostly kicked this software to the curb. Out of the box, Windows 7 Media Center can do a lot of what you will want. Setup is easy, with a wizard that will guide you through adding media to pictures, video, movies, music, Live TV, DVR functionality and more. Netflix is built into the app, which is a nice touch, but services like Amazon Instant and Hulu are not. Adding those requires some customization, but if you nose around the web a bit then you can find plugins available. On the downside, plugins also come into play. You see, according to programmers, this is not the easiest platform to design for. That leads to a number of features you may want that you will not find. Another drawback is the app’s inability to play certain file types without some tweaking. Namely .MKV and .ISO files can not be played. There are easy fixes for this, however. MyMovies, which is a great plugin to replace the built-in movies strip in WMC can play .ISO files and, honestly, just plain works better than the built-in service. For .MKV files users can install a number of solutions, the best of which I find to be Haali Media Splitter, but other codes can work just as well. Media Portal makes a great open source alternative. It can handle much of what Media Center does with pictures, music, video and even live TV. In addition, the software also includes radio. The interface is beautiful and there are a number plugins available. Plugins are one of the big differentiations that set this apart from Media Center. There is a large community of supporters who are always developing new features and skins that allow users to easily customize the interface. 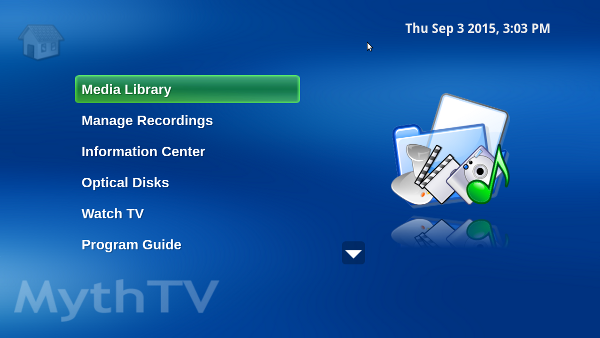 XBMC is perhaps the most popular alternative to Windows Media Center. Like Media Portal, it is open source and has a great community of developers putting together improvements to the software, plus adding features, plugins and skins. Like its alternatives, XMBC can handle pictures, movies, music and live TV, as well as function as your DVR. However, unlike the the previous two apps I have mentioned, XBMC is not limited strictly to the Windows operating system. It can also work on OSX, Linux, Apple TV boxes, Android, iOS and even Raspberry Pi. In fact, there are a couple of Linux builds that come with the media service rolled right into them, including XBMCbuntu, Openelec and GeeXbox. Linux MCE may be a bit more capable than the others I have mentioned here. In addition to handling the usual tasks of TV, DVR, movies, music and pictures, it also works as a home automation device. It has the ability to control your lighting, climate, security, telecom and more. Those additional features may or may not be a big deal, depending on your home setup, but if you have, or plan to, get involved in home automation, which is a hot thing these days, then you may want to consider this Linux distro for your home theater needs. MythTV, another Linux-based home theater service, is one of the granddaddies of the field. The service was recently upgraded to version 0.26 and added a number of improvements. The software has a number of features to make it a good choice. Watch and record analog and/or digital TV, including HDTV. Pause, skip, and rewind live TV shows. Completely automatic commercial detection/skipping, with manual correction via an intuitive cutlist editor. Intelligently schedules recordings to avoid conflicts. Parental controls to keep your kids out of the good shows. Listen to your digital music collection. Schedule and administer many functions remotely via a web browser. Flexible client/server architecture allows multiple frontend client machines to access content served by one or more backend servers (although the most common installation consists of a single computer running both the client and server together). This one is less used these days than its competitors, but it still has a loyal group of followers and a good community of developers behind it. On the whole, any of the aforementioned software will work just fine. All require a minimum amount of setup and all come with support for mobile apps — mostly Android and iOS. That is handy because it allows for remote control apps as well as remotely controlling settings when you are on the go. 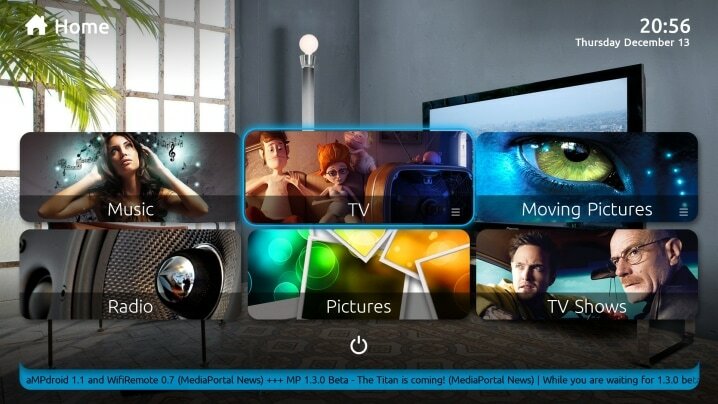 My personal opinion is that, if you are on Windows, then XBMC is likely the best fit. If the thought of Linux doesn’t scare you off then either the XBMC Linux builds or Linux MCE are perhaps the best way to go.